Health, beauty, and sport. All you need to live a healthy and beautiful lifestyle in London, ON. 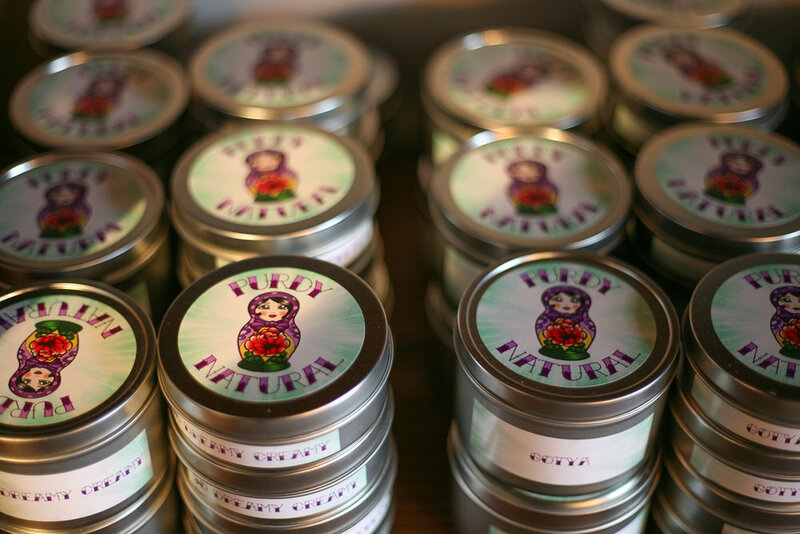 Rokhsana Purdy founded Purdy Natural in 2012 and since then she hasn't looked back. The shop itself (at 111 Mount Pleasant Ave, London, ON) smells incredible, and looks fantastic as well; fusing traditional natural cosmetics with a punk rock vibe. Purdy Natural make all their products from scratch with the belief that if you can’t eat it you shouldn’t put it on your skin! Natural home-made cosmetics are all the rage these days, but can be tricky to get right. Charissa at Crushed With Love makes a great range of products from foot scrubs, to bath salts, bath bombs, shower bombs, and loofah soaps. A self-confessed lover of the Purdy Natural story, Charissa first had the idea to sell some cosmetics to help pay for a bowl of fruit for her kindergarten class. They say that beauty is in the eye of the beholder. Casa London Magazine met with two women, Stephanie and Loreen, who believe that beauty is a combination of confidence and artistry. They are the essence of female empowerment and use esthetics to help women shine in their own unique way—to be naturally beautiful. beauty by PREEN offers lash extensions, lash lifts, facial sugaring, brow shaping/corrections, makeup applications and makeup lessons, microblading, and permanent makeup (lash enhancement, liner, ombre lipstick). If there is one thing a personal trainer needs to understand, it is how to overcome adversity. For many people getting in shape can be a serious uphill struggle, both mentally and physically, so having someone by your side that can empathise can make the experience all the more bearable. Michelle Goldrick has just those qualities, she is more than aware of the hardships of looking after your body, and learning to push yourself past what should be possible! Her programs are all encompassing; focussing on weight routines, mind muscle connection, and dietary needs to give you the best chance to get yourself into shape. Nutrition werX – Healthy Doesn’t Have To Mean Tasteless! Eating healthy food can be hard, and it can be even harder if you’re trying to juggle cooking and eating right with long work hours, a hefty gym schedule, or a family you have to look after! So how can you ensure you’re eating a balanced diet with plenty of variety, without having to spend hours looking for recipes or learning to cook nutritious and tasty meals? Well the answer is here now! Stefanie McLeod is a self-taught cook catering to anyone looking to get in shape, eat better, or who just doesn’t have the time (or skill) to cook for themselves. Since 1958, the Eastown Barbershop has been a familiar place for men of all ages and has since become a landmark of the Forest City. They are now becoming more known for their beard work; hence, the coined term “The Beard Whisperers.” Eastown Barbershop is one of the few shops in the city to use straight razor and offer hot towel shaves, which is comparable to a facial for men. They also carry hair and beard grooming products and can advise men about best practices for keeping their beard soft and looking good. There is an atmosphere that stays true to the classic barbershop. The Eastown experience is one that’s fun, entertaining and welcoming – no matter your age, gender or amount of hair on your head. Valerie Giles And Michelle Shipley are the co-founders and owners of Mothership Yoga, a small “boutique” yoga teacher training school. They offer intimate and personal yoga experience, keeping their classes small enough to give each student as much attention as they require. While both ladies are former athletes, they came to yoga through two completely different paths and from completely different walks of life. Despite this they seem to have a fantastic relationship in business and as friends. LondonSUP is your source for everything to do with Stand Up Paddleboarding! They can teach you to SUP safely with proper technique, organize SUP Events, and provide SUP Yoga Lessons all year long. Join one of their group lessons or arrange for a private lesson and learn at your own pace. Looking to rent or purchase a board? They can help. LondonSUP shop is stocked with different styles of boards and a full lineup of accessories that suit every paddlers needs. Although they specialize in Stand Up Paddleboarding they cater to most paddling sports including Kayaking and Dragon Boating. Come join them on the water! Drew Climie of LondonSUP isn’t based in one particular area, he’s happy anywhere where you can find a body of water, but a lot of his lessons take place not far from London.